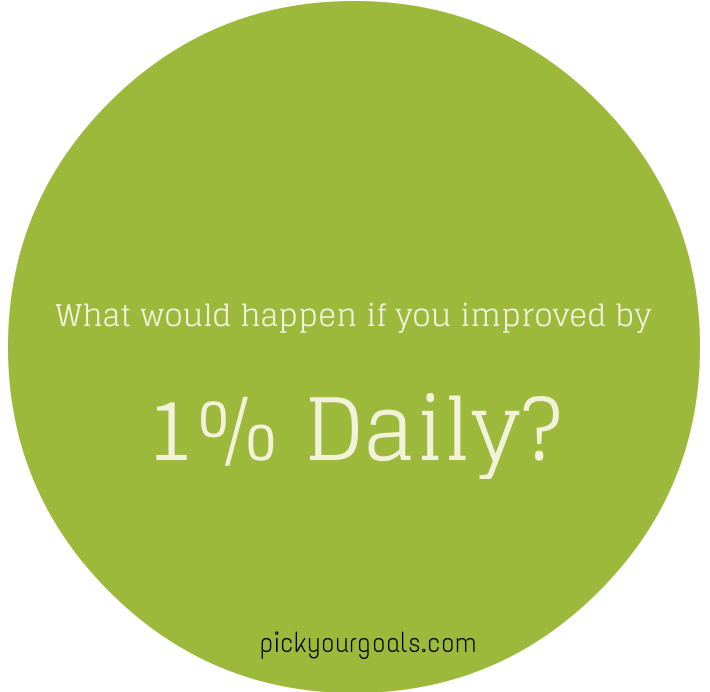 Click to Play: What Would Happen if You Improved by Just 1% Everyday? The other day, I was thinking how I can make my podcasts even better, more helpful for everyone reading PYG. Back when I started doing podcasts (a few weeks ago), I knew this was going to be a learning curve — there were several software involved that I’d use such as Audacity for recording my voice, editing for clarity and converting the audio into an MP3, uploading the files using FTP etc. On day one, it was a slow progress. On day two, I knew the sequence. On day three, things got easier and my focus shifted. I started focusing on advanced ways to make the podcasts a great experience for you. It’s been that way since and this is PYG’s sixth podcast. My point? They quality of questions I was asking while I created my first podcast were completely different than the ones I’m asking today. Similarly, the quality of your problems as you tackle a goal keep changing as you keep at it. If muscle-building is your goal and you’ve been at it for 6 months now, your problems will be inevitably quite different than a newbie’s. In short, you’d have overcome noob questions and asking much better, advanced questions because of where you are today. So how do you switch from a low-quality problem to a high-quality one? By pushing the comfort zone inch by inch consistently. You do it in pieces, everyday. It can be a slow progress but it is still progress. That’s when you start using the 1% improvement rule. What would happen if you improved 1% everyday? How would your life be different? What goals would you accomplish in 100 days? 200 days? A year? If you just focus on improving not by twice, not thrice by just 1% everyday, you’ll form a new habit. You’ll stop focusing on “being perfect” or the massive end goal and start doing what it takes to cross The Between stage. Because otherwise, we’re too hell bent on “getting things right” the first time and if they are not right, we don’t do it at all. But right according to whom? Perfect according to whom? In this quick podcast, I decode the rule with real-life examples of other successful people. Give it a go by clicking the button below. (~ 10 minutes). Hey, the 1% rule is fantastic. It like how it doesn’t have to be 1% but 1 of anything. Whatever it is that you measure success by. Love the 1% rule! I can see myself applying it to every task and goal in my life, knowing it will help me to accomplish more. Love hearing your voice again, Pooja! Yes i realy like the idea of getting 1’/’ improvement.we should try these as well. Your writing is always inspirational as is your website! I believe your 1% per day improvement ideology works and each individual who takes on a new task follows it unknowingly. I started off as a writer a little more than a year ago and the questions I’m asking today are so different from what I was discussing last year. This confidence I have acquired comes from improving my skills a little with each piece of writing. Despite this, there still apprehension whenever I start working on a new project!